I have always been fascinated by Henry VIII and his six wives. In fact, I have read several books on the subject. 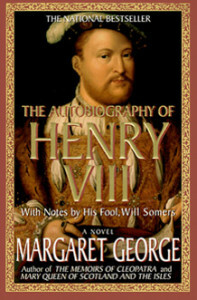 Catherine Howard: Henry’s Fifth Failure is the story of the king’s penultimate wife, from her birth to her death. She spent her childhood and teenage years with her step-grandmother, the Dowager Duchess of Norfolk. 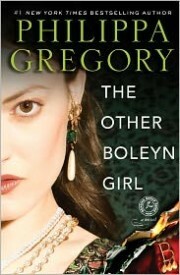 She was raised with other young nobility, and they could do pretty much what they wanted, as supervision was minimal. Needless to say, young Catherine got into trouble more than once, especially in regards to her involvement with boys. 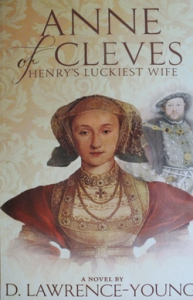 When she was 16 years old, the Howard family decided to use her to improve their status in court, and she became Anne of Cleves’ lady-in-waiting. That’s when Henry VIII noticed her, and when Catherine’s star rose. Unfortunately, it didn’t last very long as Catherine’s past caught up to her, and she paid the ultimate price for her naivete and bad judgement. David Lawrence-Young chose to write the story from two different points of view: Catherine Howard’s and Robert Butcher’s, a guardsman in the Tower of London. Each chapter alternates between the two points of view, and I thought it was interesting to read the story from an outsider’s perspective, someone who was from a different class than the main protagonists. However, the character of Catherine could have been better developed. In addition, Robert Butcher was not a believable character. Indeed, it was very unlikely that he would ask his superiors repeatedly to explain their orders. He also seemed to know all the major players at court even when he had just started working as a guard at the Tower. This was surprising, especially as he would not have had a very good education as the son of a butcher. In fact, he barely knew how to read and write. 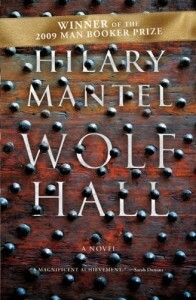 However, I certainly enjoyed the historical parts of the novel, and it was interesting to have some background information regarding Catherine Howard’s short life. 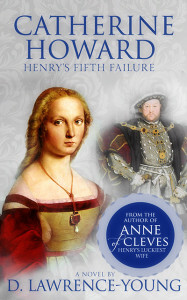 Catherine Howard: Henry’s Fifth Failure was sent to me for free in exchange for an honest review. The author writes the first draft of his stories by hand. He usually publishes 2 books a year. The Daughter of Time by Josephine Tey inspired David Lawrence-Young to write historical novels. Born in Trowbridge, UK, the author now lives in Jerusalem.